The following SWE-RMS members were recognized for their outstanding achievements, read on for their bios that were included in the 2016 conference issue of SWE Magazine. Laura Schafer, vice president of oil and gas for Emerson Process Management’s flow division, in Boulder, Colorado, leads customer acquisition and product development efforts on a global scale. Since joining the division in 2012, her innovative approaches and leadership have produced a record number of strategic projects with customers. In addition to developing new devices, Schafer has promoted software upgrades as a faster, cheaper way to deliver vital, new hardware capabilities to customers. One upgrade, which enabled a single-phase flowmeter to perform multiphase functions, has resulted in more than 2,000 sales. Schafer developed the equations and product messaging and provided technical training to maximize sales and end-user satisfaction. Another software upgrade dramatically improved multiphase flow performance for equipment on a transmitter platform. Schafer has led efforts to use Coriolis flowmeter data to improve hydrocarbon allocation measurement. She won top paper recognition for her talk on the subject at TUV NEL’s Americas Workshop in 2014. She also championed development of two new flowmeters. The first device helps direct hydrate inhibitor injections to prevent hydrate plugs from forming inside subsea pipelines. Such plugs can cost oil/gas companies more than $1 million a day in lost production. The other device is a flowmeter rated at 15,000 psi. It helps regulate chemical injections that protect deepwater wells from corrosion and other flow-related issues. 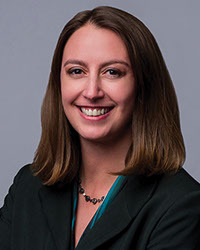 During her participation in Schlumberger’s Tech and Field Engineering program, a training process designed to professionally develop candidates with demonstrated technical leadership skills, Schafer gained her oil-field experience. In 2002, she began a two-year deployment as a field engineer on Schlumberger rigs in the South China Sea, followed by an assignment as a product developer in Sugarland, Texas. Next, she completed a management rotation in Southeast Asia where she first oversaw 26 well services labs and then directed a large, diverse, regional customer support organization. Her final assignment, in 2010, was as a well-services operations manager, in Kalimantan, Indonesia. Five new products and processes Schafer helped develop during her employment with Schlumberger now bear U.S. and international patents. Schafer represents Micro Motion on the Tulsa University Separation Technology Projects review board; serves on the company’s innovation board; and is a respected advisor across Emerson for assessing the technical soundness and marketability of new ideas. She has continued to explore ways to apply Coriolis technology to improve drilling operations safety and efficiency, and she routinely speaks about responsible fracking in the University of Colorado Boulder’s course on energy and public policy. Schafer was invited to speak about “Innovation in the Workplace” at this year’s SWE iCon16 Rocky Mountain Section event. A mentor to young women engineers, Schafer has been known to reach across organizations and countries in order to place her protégés in their next technical roles. She earned a B.S. and M.S. in chemical engineering and petroleum refining from the Colorado School of Mines and lives in Boulder. Schafer enjoys hiking the mountains of Colorado and stretching her culinary skills when she’s not hopping the globe for work or vacation. Erica Messinger is director, worldwide university program for Keysight Technologies, where she provides strategic vision and leadership for the company’s multitiered engagements with universities and academic research institutions, working across all levels of Keysight to optimize investment in the “education ecosystem.” This includes placement of Keysight solutions among the next generation of engineers, impacting research partnerships with universities, grants, recruiting, marketing, and growing sales in the education market. 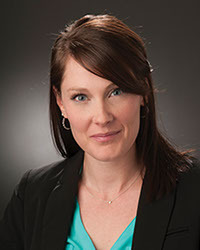 Messinger moved into this position in early 2016, bringing with her more than 17 years of experience in various technical, marketing, and business roles, including applications engineer, sales channel management, business development, and program management within Keysight, Agilent Technologies/Hewlett-Packard. Her involvement with SWE dates back to her undergraduate studies. 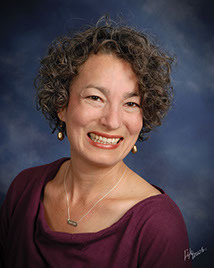 Early in her career, Messinger was the youngest employee to participate in a pilot mentoring circle, in which each participant played both mentor and mentee to others. Ever since, she has been an outspoken advocate for bidirectional mentoring. When Keysight spun off from Agilent in 2014, Messinger formed the Keysight-SWE Enterprise Program (KSWEEP) to build investment in women engineers. Its impact continues to grow. All major U.S. Keysight locations now host monthly sessions to build community among women, sharing learning experiences from the virtual content from SWE’s 2015 annual conference. Building on this success, Messinger has taken KSWEEP worldwide, and hundreds of women have benefited. Keysight is now a sponsor for WE Europe, with participants both attending and speaking on panels there and at WE India. Messinger also seeks out senior women within Keysight for internal panel discussions that respond to mentoring questions from employees across the Americas, Europe, and Asia, encouraging them to share their wisdom and experiences with women at every level of the organization. Furthering her commitment to building communities, Messinger leads mentoring circles with university students, “wisdom groups” for early-career women, and empowerment circles with peers in the community. Messinger has represented Keysight within SWE since 2003. She has recruited, and led delegations to SWE conferences since 2004, work that has resulted in many mentoring relationships that extend well beyond the conferences. By 2015, Keysight’s SWE delegation had grown to 48 women. Over the years, Messinger has initiated Keysight’s involvement as a leading sponsor of the SWE Rocky Mountain Section’s GESTEM event; launched a strategic partnership that provided after-school kits to SWE for use in STEM outreach, impacting 8,000-plus students; and delivered workshops, such as Leading with Authenticity, Trendy Stress? !, and I’m Perfect: Why Isn’t Everyone Else? at SWE conferences. Messinger holds a B.S. in electrical engineering with an international minor in Japanese studies from the University of Illinois at Urbana-Champaign and an MBA from the University of Colorado. She has been a long-standing SWE member since she first began her undergraduate studies. She enjoys reading food blogs; volunteering in the community; dancing with her partner, Jason; and spending time with their young son and daughter. Distinguished New Engineer Award, Casey Griswold Waggy, Ball Aerospace and Technologies Corp.
Casey Griswold Waggy is an aerospace engineer and currently the lead thermal engineer on the Joint Polar Satellite System at Ball Aerospace in Boulder, Colorado. She is responsible for design, analysis, integration, testing, and successful commissioning of the thermal subsystem of the spacecraft. Waggy interned with Ball Aerospace in 2007 and joined the company full time upon graduation. She executed the commissioning plan for thermal subsystem during launch of the WorldView-3 satellite and was the thermal engineer for the Electronics Product Center (EPC), managing thermal analysis, design, and testing for all EPC programs, boxes, and boards. Her exceptional technical abilities and talent for team leadership emerged when Waggy was an undergraduate. She was team lead on a project for the Mars Balloon Scout mission. Under her guidance, the group researched and developed a conceptual design for a release mechanism of the entry, descent, and landing parachute. Her research work in the Student Space Systems Fabrication Laboratory on a structures subsystem lead C-9 microgravity experiment led to successful testing on NASA’s microgravity aircraft. A member of SWE since 2007, Waggy appreciates the interpersonal and organizational leadership skills that active SWE membership cultivates, and she enjoys promoting the Society and its mission as a member of the Rocky Mountain Section (SWE-RMS). She is currently the Region i lieutenant governor, responsible for mentoring and leading the region collegiate team. Waggy also has served the section as president, representative, treasurer, and secretary. As treasurer, Waggy took charge of logistics for GESTEM — Girls Exploring Science, Technology, Engineering, and Math — a massive, annual outreach that brings 1,000 middle-school-age girls to the Colorado Convention Center to explore science and engineering. Hundreds of volunteers give workshops and interact with the attendees. Waggy streamlined procedures for the presenters, improving both quality and satisfaction in the past two years. She served as the communications committee chair for the 2016 Region i conference (iCON16) and is the collegiate counselor for the SWE section at the University of Colorado Boulder. She was recognized by Region i as the FY16 recipient of the Intrepid award and was a 2014 New Faces of Engineering SWE finalist. In addition to her SWE work, Waggy gives back to her community, volunteering as the treasurer for the Alumni Association of the University of Michigan, Denver. She also donates her time and photography expertise to Girls on the Run and volunteers with the Ball Community Ambassadors Engagement Team. Waggy earned a bachelor’s degree in aerospace engineering from the University of Michigan and a master’s in aerospace engineering with a focus on bioastronautics from the University of Colorado. Her favorite leisure activities are spending time with family and friends; skiing and hiking with her husband, Scott, and their pup, Piper; and photographing their Colorado adventures. Terry Comerford holds what may be the ideal post for a SWE collegiate section advisor. 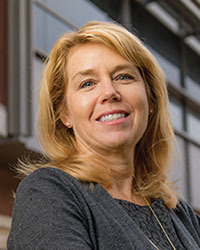 A former oil-refinery manager and a 20-year SWE member, she heads the Colorado State University’s Engineering Success Center, where she runs two programs vital to the future professional achievements of women engineers: the college’s Cooperative Education Program and its Diversity Programs in Engineering. Since joining CSU in 2008 and becoming the SWE collegiate section advisor, Comerford has put everything — her industry contacts, leadership and event-planning skills, engineering and finance background, boundless energy, and love for SWE — into her efforts to revitalize and expand the formerly languishing section. She has helped make it one of the largest, and most respected, student groups on campus. The results have been impressive. Today, the section boasts more than 100 members, offers award-winning programs, and has received formal recognition from the university through program awards. The college frequently asks it to serve as an unofficial “ambassador” for events involving outsiders. For instance, the section hosts a luncheon each year for the female high school students and their parents who visit the college during its Engineering Exploration Days. Comerford has helped the section build and promote its successful Evening with Industry, Pretty Brilliant, and SWE Mentoring programs. She even attracted corporate sponsorships to help underwrite the section’s annual SWE Freshman Scholarships for members. Major engineering firms such as Halliburton, Atkins Global, and Medtronics have sponsored and participated in Evening with Industry, open to all CSU engineering students. Attendees get to network with the speakers and hear their real-world advice about engineering and the value of continuous professional development. Comerford takes a deep, personal interest in the section leadership team. She meets with them twice weekly, at formal section meetings, and at her own management reviews — where she keeps everyone on task. She also coaches and advises them on section matters, internship opportunities, personal career placement issues, and more through ongoing emails. Each year, she hosts a “transition social” at her home for current and former leaders, giving them a chance to connect and exchange valuable insights and best practices. She also works with the section treasurer to set aside sufficient funds to pay for up to 12 section leaders to attend the SWE annual conference, where they can benefit from its unique learning and networking opportunities. Comerford received a B.S. in chemical engineering from the Georgia Institute of Technology and an MBA from the University of Houston. She worked for Amoco for more than 20 years and as a consultant with Ascent Engineering shortly before joining CSU. Comerford and her husband of 31 years, Kelly Gleason, have two adult children. Her favorite activities are hiking the mountains of Colorado and summers at the Outer Banks of North Carolina. She is passionate about being a role model and mentor to young women engineers, encouraging them to find balance while pursuing their careers.